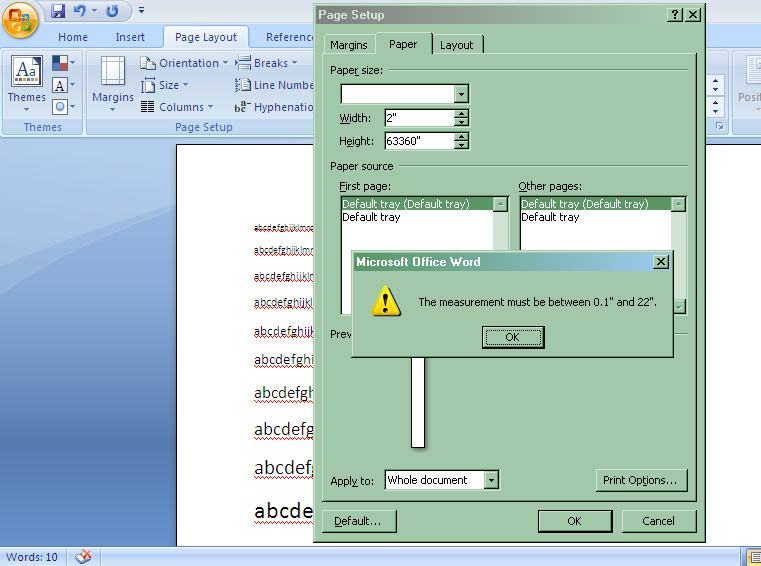 Microsoft Word 2007 won't let me create a mile long paper size. Maybe a mile is not a reasonable paper size, but why a 22 inch limit? I've printed on paper longer than that with other applications.